Realized for the brand new company headquarter of Siemens Italia s.p.a. in Milano, INCONTRARSI was a huge challenge in terms of aethetics, technical realisation and postproduction. An "image tunnel" created by two large screens 10 metres wide and almost 2 metres high, placed opposite of each other. Its Ultra wide images, more than 2 times the cinemascope size, use a frame ratio of 1:5,3. 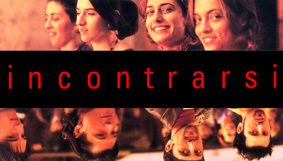 INCONTRARSI was shot on S35mm film and later on split into 2x 4 standard size PAL video streams that add up to the 1:5,3 ultra wide image using back projection high power video beams. The 7 minute long film is an hommage to the city of Milano - to its people, livestyle and world-famous architecture. It was directed and photographed by myself and is regularly shown at Siemens headquarter Milano. The EXPO 2000 PANORAMA project was a tremendous challenge that made the Siemens project INCONTRARSI look very small indeed in comparison. The PANORAMA concept setup follows basically the same principle, but adds a third large screen acting as the sky. And its size was truly vast: 3 screens with a length of almost 80 metres and a height of more than 8 metres telling the story of universal mobility in all its different aspects. 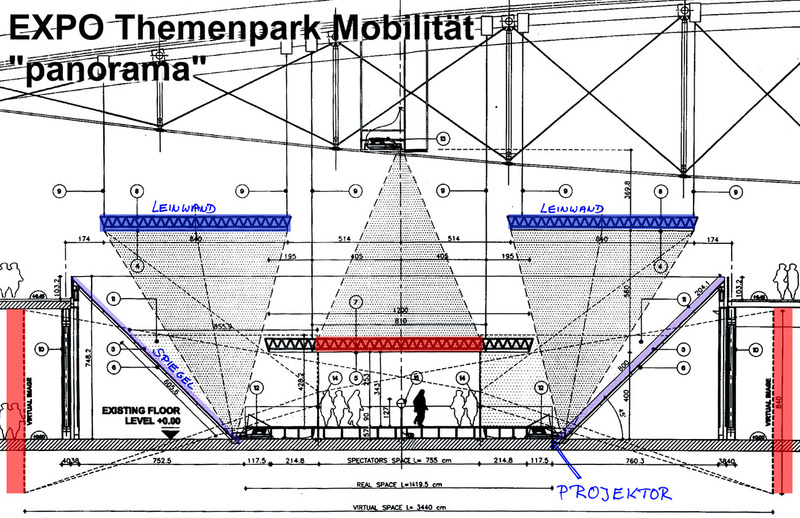 Together with Neue Sentimental Film Frankfurt I developed a concept - and won the contract for its realisation against tough international competition. Technically, this project was extremely demanding. Planning to go mainly for fullsize images, we decided to use the ARRI 765 production camera and 5-perf 65mm film together with a custom-made ground glas that showed this crazy but fascinating ultra wide image format with a ratio of 1 : 9. The developed negative was scanned at CFC London in ultra high resolution of 7K. Post production was to be done at Das Werk Munich using Inferno to handle the vast amount of data. We started shooting on 65mm in Italy and Germany when suddenly serious artistic differences between the scenographer / architect of the Hall of Mobility, Mr. Jean Nouvel and myself arose. To my great regret a compromise between the differing artistic concepts couldn't be found. The project then was finished by Mark Gläser of Neue Sentimental Film Frankfurt, using mainly fast image collages of TV format video images. Thus, in my opinion a great opportunity to create truly outstanding fullsize panorama images and a never-seen-before visual impression was lost as the concept was changed to rely mostly on rather standard multi-image collages.